Eisa is a form of folk dance unique to the people of Okinawa. It is typically danced to folk songs played on the sanshin, with the accompaniment of singing, chanting and drumming by the dancers. It originally had an important religious function of giving repose to the dead. 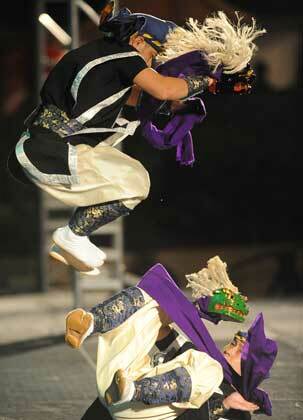 In Okinawa and Hawaii, Eisa continues to be performed at Obon ceremonies. The Eisa Drum Festival is a special celebration sponsored by the Office of Student Activities, Kapi'olani Community College and produced by Shari Y. Tamashiro. It is always held the day after KCC's commencement ceremony. 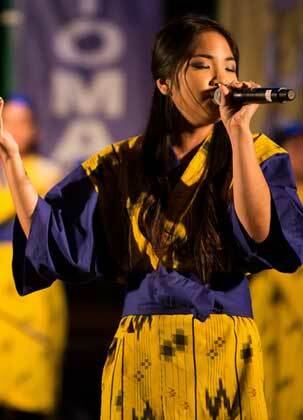 The inspiration for the event comes from the Okinawan Festival held in Brazil for their Centennial Celebration. The finale included eisa drummers from all over the region playing together. The ground shook, the energy level was so intoxicating that I was transported. I remember wanting to bring that same energy and joy back in a performance for people back home in Hawaii. The grant finale of every Eisa Festival brings all performers together to try and capture that energy and joy I felt in Brazil. Featured performers: Chinagu Eisa Hawaii (Lisa Tamashiro), Hawaii Okinawa Creative Arts (Jon Itomura), Young Okinawans of Hawaii (David Jones) and Nuuanu Shorin Ryu Karate (Mitchel Shimamura). Special Guests: Daiichi Hirata, Kajimaai, and Halla Huhm (Mary Jo Freshley). Advisosr: Jane Kaneshiro, Norman Kaneshiro. 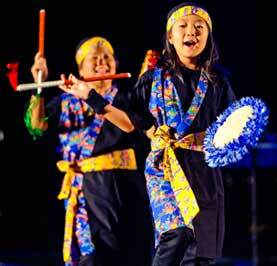 Featured performers: Hawaii Taiko Kai (Terry Higa), Chinagu Eisa Hawaii (Lisa Tamashiro), Urizun Minyo Group (Derek Ichiro Shiroma), Hawaii Okinawa Creative Arts (Jon Itomura), and Nuuanu Shorin Ryu Karate (Mitchel Shimamura). Meekata: Young Okinawans of Hawaii (David Jones). Special Guests from Okinawa: Daiichi Hirata, Yoko Hirata, Saeko Higa, and REQUIOS. Producer/Director: Shari Y. Tamashiro. Stage Manager: Dorene Niibu. Advisor: Norman Kaneshiro. Featured performers: Chinagu Eisa Hawaii (Lisa Tamashiro), Urizun Minyo Group (Derek Ichiro Shiroma), Hawaii Okinawa Creative Arts (Jon Itomura), Hawaii Eisa Chimagukuru Daiko (Van Shimabukuro), Hawaii Eisa Shinyuu Kai (Melissa Uyeunten), Ryukyukoku Matsuri Daiko Hawaii (Akemi Martin), Young Okinawans of Hawaii (David Jones), and Taiko Center of the Pacific (Kenny Endo). 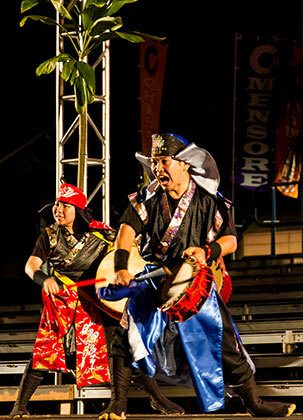 Guest performers: Daiichi Hirata (Okinawa), Paranku Clubs of Hawaii. Food Manager: Karen Kuba Hori.